Hike the rainforest, watch wildlife and marine life, explore indigenous cultures. Activities for all comfort levels, many wheelchair accessible, Prince of Wales Island is a multi-generational vacation destination. In our family, there are rough and ready explorers as well as those that prefer a more laid back approach to the nature experience, and Prince of Wales Island has amazing nature experiences perfect for all comfort levels. Discover the world's largest temperate rainforest from walking an accessible boardwalk or by hiking a rugged trail. See eye-to-eye with a humpback whale from an ocean kayak or watch it from the deck of a captained boat or enjoy them from a vantage point on dry land. This island has wonderful nature adventure opportunities for everyone in the family. KETCHIKAN IS YOUR STARTING POINT. TAKE A SMALL PLANE OR CATCH THE FERRY TO PRINCE OF WALES ISLAND, BUT BEFORE YOU DO EXPLORE THIS COLORFUL, FRIENDLY AND FASCINATING PLACE. CREEK STREET, KETCHIKAN, ALASKA. IMAGE: THE ALASKA FACEBOOK PAGE. Ketchikan, on the southern most tip of Alaska, just a 90-minute plane ride from Seattle is called Alaska's First City. This is the jumping-off point for your Prince of Wales Island adventure. Before you head off to the island, take a little time to explore. 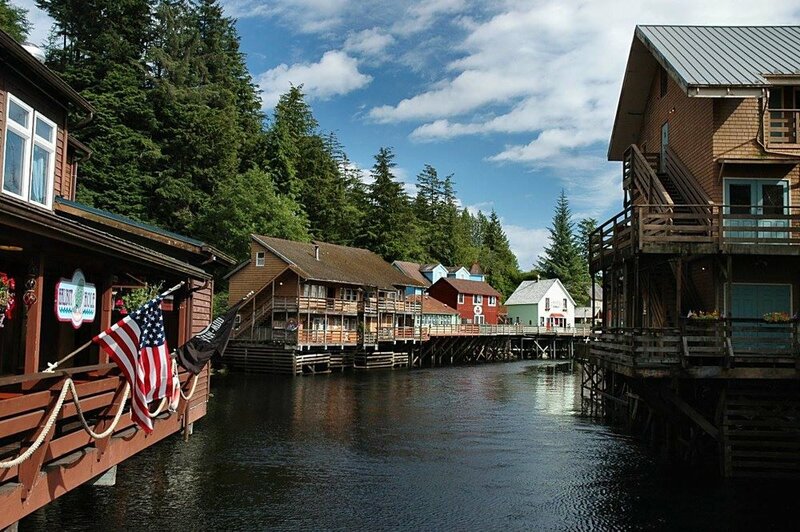 The history, culture, and nature of Ketchikan make it an unforgettable "don't miss." For an unforgettable first impression of Prince of Wales Island start at Ketchikan with a ferry ride across the sound. The water and mountain views are amazing, and you just might be greeted by humpbacks or porpoises playing in the boat’s wake. THE FERRY RIDE FROM KETCHIKAN TO HOLLIS IS A MAGIC WAY TO ARRIVE AT PRINCE OF WALES ISLAND. LOOK FOR PORPOISES, WHALES, AND SEA BIRDS ALONG THE WAY. IMAGE: THANKS TO JFIMAGES01. Below are some ideas for less strenuous adventures that you, the kids, and the grandparents too can enjoy together. HATCHERY CREEK FISH PASS. NEAR COFFMAN COVE. WHEN THE SALMON RUN - SO DO THE BEARS! WATCH FOR THEM AND REMEMBER: BEARS ALWAYS HAVE THE RIGHT OF WAY! IMAGE: THANKS TO LUKE. KIDS LOVE EXPLORING THE RAINFOREST AT PRINCE OF WALES ISLAND. IMAGE THANKS TO WHALE POINT CABIN, COFFMAN COVE, PRINCE OF WALES ISLAND. When the salmon run, so do the bears - directly to the streams for lunch! I love to see bears in the wild - but keeping a bit of distance between us is definitely on my priority list! The fish passes are a perfect solution! Try the Cable Creek Fish Pass or the Dog Salmon Fish Pass (one of the sites most popular for viewing bears on the island). Both have viewing platforms to safely watch black bears fish for spawning salmon (late July and August), you may even see a river otter in hot pursuit chasing salmon upstream. On the Klawock River, the fish ladder at the Prince of Wales Hatchery is also a great place to see spawning salmon, and the bears, otter, and eagles who dine on them. The Cable Creek Fish Pass and the Prince of Wales Fish Hatchery are both wheelchair accessible. The Trocadero Trail located at the Cable Creek Fish Pass at Cable Creek is another great place to see salmon and wildlife and also has interpretive signs. Wildlife: Black bears fish and river otters chase salmon up stream at the fish passes. You may even see an elusive, fish eating Alexander Archipelago wolf! Bird Watching: Bald Eagle and other fish eating raptors . The Tlingit people, on the island possibly as early as 10,000 years ago, and the Haida people who still live here, add cultural color, myth, and magic to the island's natural wonders. Discover their history, myth, and magic from totem poles at the island’s three Totem Pole Parks located in the communities of Klawock, Hydaburg, and Kasaan. There are also poles in Craig. Do not miss The Whale house and Totems Historic District in the community of Kasaan. The Whale House, a sacred site of the Haida people, and the only standing Haida long-house in the United States, was re-built and dedicated in autumn of 2016 and is not to not be missed. See original and recreated totem "house" posts here. 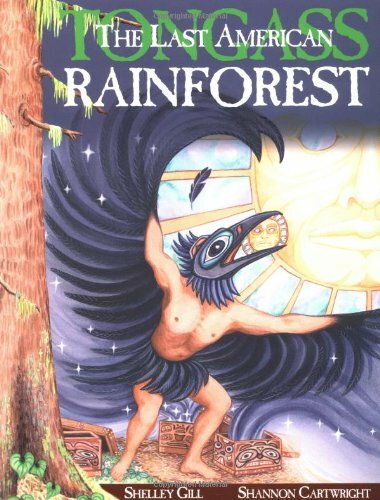 Learn how, from ancient times, their artists have used tools made of native materials: bone, shell, and steel to carve great cedar trees into the story telling totems. The Whale House is on the National Registry of Historic Places. Visiting in July? Don’t miss the cultural camp and (First Nation) Haida Festival in Hydaburg. THE HUMPBACK WHALES COMES SO CLOSE TO THE SHORE TO FEED THAT YOU CAN WATCH THEM FROM LAND ON PRINCE OF WHALES ISLAND. THIS IMAGE OF HUMPBACKS "BUBBLE FEEDING" WAS TAKEN AT WHALE POINT CABIN, COFFMAN COVE. IMAGE: COURTESY OF WHALE POINT CABIN. The Communities of Craig and Coffman Cove: The communities of Craig in the central part of the island on the western side and Coffman Cove on the eastern side in the north of the island are perfect for finding the big marine mammals from land or on the water. LOOK FOR TREASURE IN THE TIDAL POOLS AT LOW TIDE ALONG THE BEACH COFFMAN COVE. IMAGE: THANKS TO LUKE. Watch humpback whales feast and play right from the shore or dock. Or take a boat ride and explore the smaller islands and rocks around Prince of Wales, if you are staying at a local inn, your host should be able to introduce you to just the right captain. At Craig, watch the marine life from the shore or take a boat tour, especially during March and April when the herring spawn here. Walk the Graveyard Trail on the peninsula for a great view of the whales from land. Point Amargura, a half hour boat ride from Craig, is one of the best places to see sea lions. Marine Life: Humpback and orca, Steller sea lion, harbor seal. Birdwatching: Cormorant, great blue heron and rhinoceros auk. Sandy Beach Road: The road connects Coffman Cove to Thorne Bay. Parts of the road overlook the Clarence Strait, a favorite feeding ground for humpbacks, orca, Steller sea lion, and harbor seals. Watch them right from the road. Spend some time at Sandy Beach Recreation Area. Walk the sandy, not rocky, beach and search for live sand dollars in the tidal pools at low tide. Wildlife: Sitka black-tailed deer, black bear. Marine Life: Humpback whales, orca, harbor seals, Steller sea lions. Bird Watching: Great blue heron, trumpeter swans (fall migration visitor), bald eagles. RIVER OTTERS DEN HERE USING SCENT TO FIND THEIR WAY IN THE DARKNESS. THE EL CAPITAN CAVE, ONE OF 600 ON PRINCE OF WALES ISLAND, IMAGE: THANKS TO JFIMAGES01. Beaver Lake Interpretive Trail & El Capitan Cave: Here in the north of the island, near Coffman Cove, the whole family can experience the karst landscape, waterfalls, and old-growth rainforest with an easy hike along raised boardwalk of the Beaver Falls Karst Interpretive Trail. For the more adventurous (adults) in the family, catch a ranger-guided tour of El Capitan Cave located at the end of the interpretive trail. El Capitan Cave is the longest mapped cave in Alaska, over two miles deep from the entrance. Remains of bears and other creatures found inside date back over 12,000 years. The cave is open May through September and can only be explored with a forest service guide. Call ahead or stop into the Thorn Bay District Ranger station for reservations. Children under 12-years old are not permitted entry. Wildlife: River otters, little brown bat, Keen’s mitosis bat. ENJOY AN ABUNDANCE OF RAINFOREST WILDFLOWERS ALONG THE TRAILS AT BALLS LAKE. IMAGE THANKS TO LUKE. At Balls Lake, near the community of Thorne Bay, hike loop around the lake, through the open muskeg. Part of it is narrow elevated boardwalk, part natural trail (wear rubber boots). Or stay on the elevated boardwalk trail connecting to Control Creek. 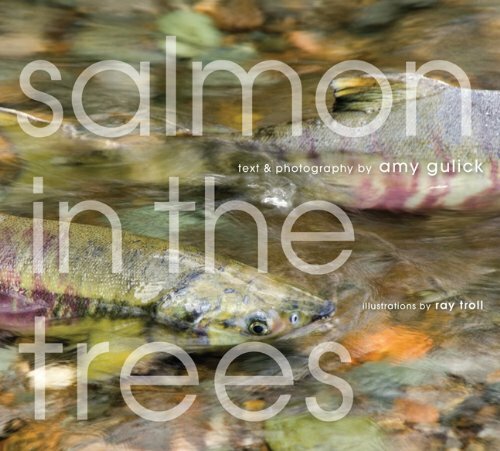 There take the interpretive trail to learn about the important connection between the huge Sitka spruce and salmon. Love flowers? Balls Lake is a wonderland of berry bushes and wild flowers. Start out near the picnic shelter, there are bog laurels, several different blueberry species, and keep an eye out for the rare round-leak orchid, Platanthera orbiculata, and many more species of flowers and plants. There is a sheltered picnic area here as well as SST toilets. Look for beaver lodges, Sitka black-tailed deer, and bear. Bald eagles are an all year resident here too. Bring rubber boots. There are hiking trails, including a flat trail around the lake (it does have some stairs), sheltered picnic facilities, and restrooms. Kayaking and paddle boating are also available.This is a wheelchair accessible site. Enjoy camping? Stay at the Eagle’s Nest Campground for an early morning start on wildlife viewing - that is when the animals are most active. There is a boat launch here too. Birdwatching: Bald eagles are here all year, listen for the song birds in the spring. The Twelve Mile Estuary, adjacent to FH 21 just south of Cable Creek, has abundant wildlife year round. Catch the migrating Sandhill cranes resting and feeding here in the spring; this is a favorite stop over for them as well as other migrating species. Look for black bear and Sitka deer along the road’s edge. There are a number of hiking trails, and the Forest Service has made the area wheelchair accessible, and a wheelchair-accessible cabin is planned for construction in 2017. Bird Watching: Sandhill cranes (spring), bald eagles. SARKER LAKE HAS A 15-MILE CANOE ROUTE (WITH SOME PORTAGE). WATCH FOR WILDLIFE, INCLUDING SITKA BLACK-TAIL DEER AND BLACK BEAR ALONG THE BANKS, EAGLES ARE HERE YEAR-ROUND, AND IT IS A FAVORITE OF WINTERING TRUMPETER SWANS. IMAGE: THANKS TO JFIMAGES01. Sarkar Lakes is another great spot; watch the wildlife from land (the view from the bridge on FH 43 is good) or explore by canoe. In July and August, this is a salmon spawning area. Salmon love the Sarkar Rapids, look for the black bear and harbor seals that love the salmon. Enjoy just one section or follow the 15 mile Sarkar Lake Canoe Route, six lakes connected by short boardwalk portages. There is a boat launch and car park. Rental companies will deliver canoes here upon request. Want to experience "nightlife" on the Lake? Rent the little cabin from the The Forestry service. The service has placed these cabins in a few, more remote areas for overnights usually by fisherman. But this is a great way to experience the "nightlife" of the Prince of Wales Island. See below: Karter River Cabin for more details on these cabins. Wildlife Viewing Hint: Canoes are quieter than hiking, and the water is a great vantage point for wildlife watching. Wildlife: Sitka black-tailed deer, black bear, river otter, (and probably wolves too). Birdwatching: Bald eagles, loons and other water fowl including trumpeter swans in fall and spring. GIANT OLD-GROWTH SPRUCE CAN REACH SIX-FEET IN DIAMETER! IMAGE THANKS TO LUKE. The Sunnahae Trail is a True "Road Less Taken"
Incredible ocean views are the reward for completing this difficult, steep trail with gravel switchbacks, stairs, a mile each of maintained and rough trail leading to a wood planked section through a muskeg bog (peat). This is a personal favorite of our friend in the Forest Service. Prepare for the Sunnahae Trail! Layer-up, bring rain gear, and wear rubber boots! This is wet territory. Wildlife: Sitka Deer, small mammals. Located where the Karta River empties into the Inside Passage on the east side of Prince of Wales Island between the communities of Thorne Bay, Kasaan, and Hollis. The only way to get to Karta River Cabin on Karta Island is by skiff. The cabin (12 x 14 primitive, no plumbing, no electricity) is available May through October. The Karta River Cabin is constructed of cedar logs and has a lovely large porch on which to sit and enjoy the sun rise and set over the bay. The head of the 5.5 mile trail into the Karta Wilderness begins begins here. From The area was home to mining communities from 1900 to 1905, today it is a favorite of sport fisherman and wildlife viewing enthusiasts. The tranquility, lush forest, and abundant river life are magnets for black bear and the elusive Alexander Archipelago wolf as well as numerous water fowl species. Bring your own supplies including sleeping bags, cook stove, lanterns, water, etc. There are additional rustic cabins scattered through out the island too. Ask at the ranger stations or look at the Prince of Wales Chamber of commerce site. Book in advance. Wildlife: Wolves, black bear, Sitka black-tail deer, beaver, marten, mink, weasel, and other mammals. Marine Life: Harbor seals, sea lions, and sea otter. AN ABANDONED NAUKATI STEAM DONKEY NEAR THE SALT CHUCK MINE. IMAGE: THANKS TO LUKE. The Salt Chuck Mine is a cleaned-up and reclaimed super fund site. Silver, gold, copper, and palladium were mined here from 1905 to 1941. Hike the Salt Chuck Mine Interpretive Trail, about two miles round trip. The trail is not as well maintained as some of the others on the Island, but there is abundant wildlife and experiencing this part of the forest is well worth the effort. There are are numerous abandoned structures to explore - do so carefully and at your own risk. A "salt chuck" is defined as a sea or inlet of a sea that flows into a lake or river. Here there is an opportunity to witness their characteristically extreme tides. It is possible to explore the actual mine, but that is not recommended. The Salt Chuck Mine is not a place for young children, but it is historically interesting, the forest is lush, and the area is filled with wildlife. THE SALT CHUCK MINE IS NOT FOR CHILDREN, BUT THE TRAIL IS LUSH, FILLED WITH WILDLIFE AND WELL WORTH EXPLORING. IMAGE: THANKS TO LUKE. Visit the District Forest Ranger Offices at Craig or Thorn Bay. Pick up a wildlife viewing guide, a trail hiking guide, a map (apps do not always work in this environment), and ask for suggestions. There are no guided tours except at El Capitan Cave in Thorn Bay, but asking for tips can reveal great local secrets! Be sure to ask the rangers about wolf and bear viewing but don’t expect encouragement; the wolves especially, are few, shy, and not wholly beloved by some residents. However, every visitor who comes to the island asking to see, not hunt, the large predators, makes them more valuable to the community alive - that is Responsible Tourism! Before you begin your adventure, review "Prince of Wales Island: Visit Responsibly."